#WorldJudoDay 2018, the International Judo Federation’s worldwide annual celebration, is coming up on Sunday. This year the theme is Friendship, as decided by judo fans in a Twitter vote, and the IJF is encourage judo clubs, federation’s and judoka to be active practicing judo on the birthday of judo founder Jigoro Kano. Meet your judo colleagues to practice the sport you love on the most inspiring day of the year. Why not organise a small competition for your club’s young or seasoned judoka. 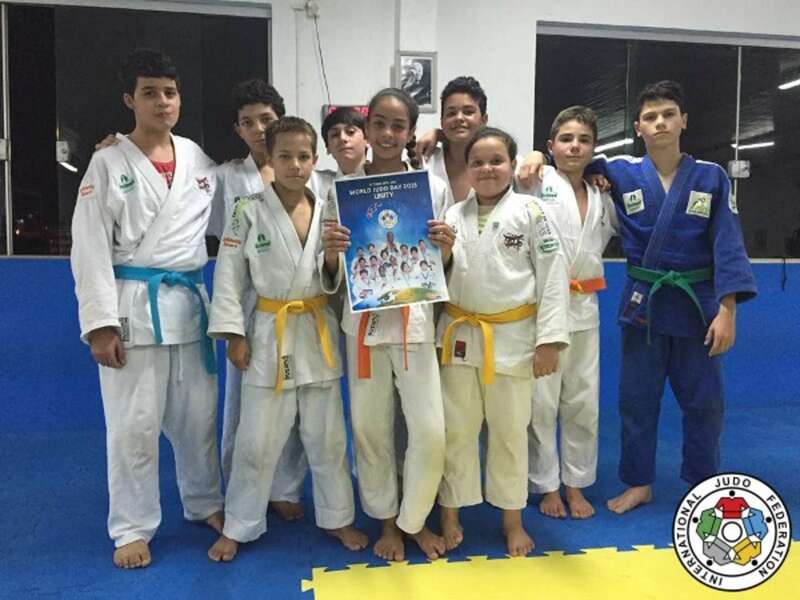 Take the sport you love and your fellow judoka into the community to leave the locals in awe and spread the word about your club. A demo would prove an instant hit on social media as onlookers share pictures and videos across all platforms. Why not invite a nearby club for a friendly competition for young judoka or senior kyu grades? This could be a perfect first competition experience for such judoka and boosts the sport locally with clubs working together to develop local talent and the sport. Every coach has their own specialty and a special guest coach can bring fresh ideas and challenges to a session. Make a guest coach welcome at your club on #WorldJudoDay and learn something new to progress your judo. For all the devoted children who practice and enjoy burning their energy and picking up new skills at their dojo there are mum’s and dad’s behind each budding judoka and supporting their children and therefore the sport and club’s all over the world. Many parents will remain in the dojo while their children are training and watch the session. In some cases this has led to parents themselves stepping on to the mat to take up judo and see first-hand the life skills and exercise which has gripped their children. So why not stage a special parents and children’s session? Young judoka can step onto the tatami with their parents and they can share a special experience as they train together and can even do some randori. Invite all members of your club, past and present, for a special #WorldJudoDay party with food, games and maybe even a #WorldJudoDay cake. Such dojo events are commonplace in Japan even at the Kodokan Judo Institute for events such as special New Year ceremonies. Join together with club’s in your area to stage a regional randori. Quality and regular randori may be crucial for performance judoka but can also pit seasoned international judoka against kyu grades and both judoka can take something from the experience. Such sessions can be made suitable for all levels and are already occurring all over the world. Samurai Judo Club in Swansea, Wales, started a monthly open randori session in October and had 20 judoka on the mat on their first session as they attracted Welsh internationals, former British internationals and Glasgow 2014 Commonwealth Games competitors alongside senior kyu grades and young judoka. A judoka never stops learning and there are plenty of forms of inspiration in judo both in and out of the dojo. Judo films are becoming more prevalent and one such film which comes highly recommended is Mrs. Judo – Be Strong, Be Gentle, Be Beautiful. The documentary tells the life-long journey of Keiko Fukuda and her decision to defy thousands of years of tradition, choose her own path, and become judo history’s only woman to attain the pinnacle 10th Dan degree. Kodokan has an unrivalled video library at its museum but there are also thousands of hours of judo footage and documentaries online. In recent years we have seen club’s and judoka form ‘human letters’ on their tatami to spell out the themes for #WorldJudoDay. 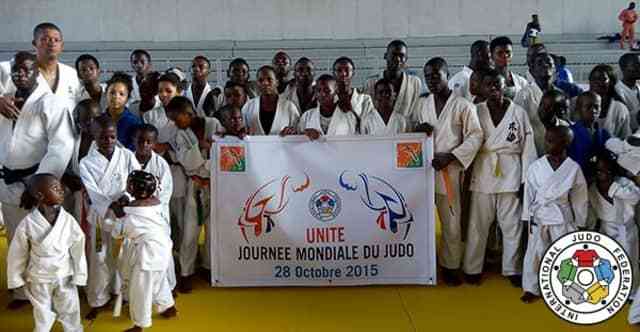 Which club will be the first so spell out Judo For The World? Kata is a vital component in judo and it is as artistic as it is a method to convey strong values of the sport. Kata forms (Nage No Kata, Katame No Kata, Juno Kata, Kime No Kata, Goshin Jutsu) illustrate a level of technical ability which can leave purists and non-judoka in awe. Why not demonstrate your favourite form of kata to judoka at your club? Judo clubs infrequently visit schools and University’s to recruit people and with #WorldJudoDay falling on a Friday this year, the birthday of judo founder Jigoro Kano, is a perfect time to visit your local school to put on a high-energy demonstration and introduce your club to hundreds of students. Judo’s top champions are mostly resting up following a rigorous Olympic cycle and Games before returning to competition. Olympic medallists such as Sally Conway (GBR) and Travis Stevens (USA) have been visiting dojo’s to inspire future generations and show some of techniques which guided them to the Olympic podium in Rio. Contact your national federation to arrange for a champion from your country to visit your dojo. You could organise a conference to talk about judo and about the theme of the fourth edition of the #WorldJudoDay which is Judo For The World. Open your club to the public, invite all your judoka, their relatives and friends, newcomers, the local authorities and explain to them what is judo, where it comes from, why it has been invented and what it can bring to them. Watch the penultimate Grand Slam of 2018 live and free together with all your fellow judoka at your club! The fourth Grand Slam of the season follows Slams in Paris (FRA), Baku (AZE) and Ekaterinburg (RUS) and will feature the return to competition of numerous Rio 2016 Olympic Games medallists. This year again, Kodokan will celebrate the birth anniversary of Jigoro Kano (born October 28, 1860) who created Kodokan Judo and who is called the father of education. Exchange your favourite judo books with your fellow judoka and share knowledge and experiences from your judo reading and the history of our sport. There is no better day than #WorldJudoDay and the birthday of Jigoro Kano to test the knowledge and ability of your club’s judoka with a grading examination. 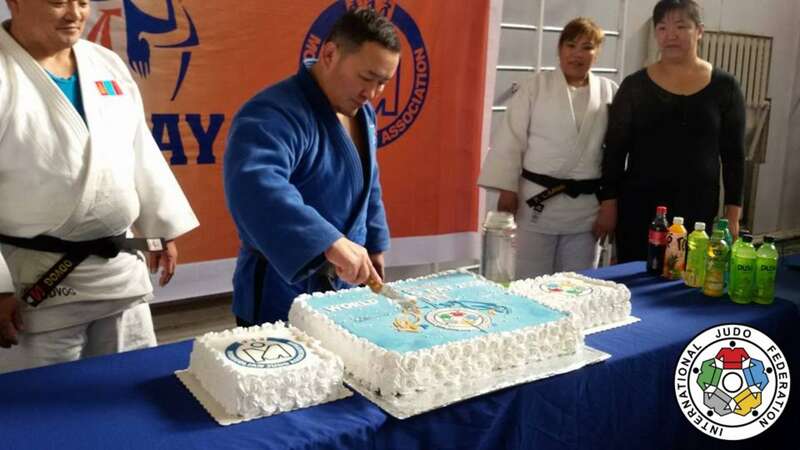 Whatever the promotion, earning a new grade on #WorldJudoDay is something that judoka of all ages will remember and will be permanently in print in their record books. Judoka aged 30 and over are ‘veteran’ judoka and are among the most experienced and knowledge judoka at your club’s disposal. Most countries have a Veteran’s national team which compete at the IJF’s annual World Veteran Championships. Why not invite all judoka aged 30 and over for a veteran’s session and create a unique atmosphere and session to mutually benefit veteran internationals. Does your judo club host an annual awards evening? Do you pick a player of the month? You could host a special awards evening on #WorldJudoDay to recognise the most diligent, the most improved and standout judoka at your club. Judo is well-known for its range of physical benefits and the sport has been used as a tool to lose weight, keep fit, improve flexibility, fitness levels and improve coordination by people of all ages and abilities. ‘Judo Fit’ sessions have been developed in some countries where judo movements are performed in the dojo or sports gyms to music in a full-body and high intensity workout. Who invented judo? Where did judo originate? Who won your country’s first Olympic judo medal? Do all of the judoka at your club know and understand the history and current standing of the sport? Test their knowledge on #WorldJudoDay with a special quiz. Browse your way through the sections of our new website to come up with questions and let us know how you get on. 11. Mar. 2019 / Planet Earth is in danger. 16. Jan. 2018 / The IJF Head refereeing Director, Mr.